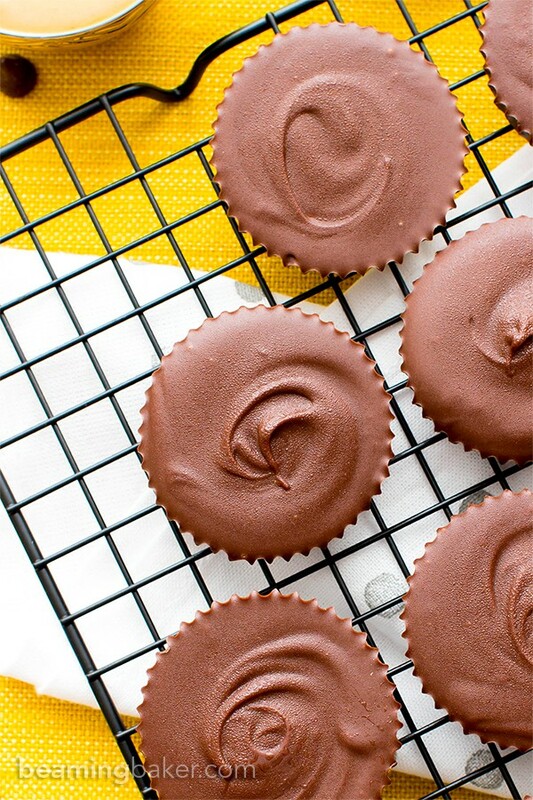 Gluten Free Vegan Peanut Butter Cups (V+GF): a simple, 5-ingredient recipe for rich, chocolate cups stuffed with peanut butter filling. Vegan, Gluten Free, Dairy Free. Chocolate and peanut butter. Is there a better combo of flavors in the world? Or even the universe? Sure, you might be a fan of chocolate, peanut butter and bananas. Or even a fan of caramel and white chocolate. There are endless flavor combos in the world that are delicious and delectable. But to me, nothing compares to chocolate and peanut butter. Anyone agree? Even as far back as being just 8 years old, I knew the power and the allure of peanut butter. In fact, I even involved myself in some risqué intrigue to get my tiny hands on some. And the fact remains, not that I’m pointing fingers or anything, that my sisters feel the exact same way. Or at least, my sister Penny does. (Not a finger pointing in sight, of course). Ahem. This nutty little tidbit even showed itself in our family travels. Once every 5-7 years, us sisters like to visit New York. I’m not quite sure why the timeline works out that way, but it does. I mean, who can resist a trip to New York (with peanut butter cups)? Anywho, it was on one of these bi-decade (or whatchamacallit) trips that we were doing the usual: visiting touristy spots, striking goofy poses for selfies that would later mortally embarrass us and getting into little spats about what borough was actually cooler than the other. Not that any of us actually knew. But most importantly, we planned our entire trip around one simple goal: eating. The Statue of Liberty, Ellis Island, Manhattan (yes, the whole thing), and more were all planned around our primary objective: eating. Who wouldn’t want that? Well, after hours and hours of adventuring around NYC, eating anything and everything we could get our hands on, we decided to stumble into FAO Schwarz. It was wonderful: tons of toys everywhere, that giant piano, live action toy people, and all kinds of fantastical creations dangling from the ceiling. But most importantly, there was a candy section. And it was BIG. You would think, after all of our eating (pizza, falafel, cake, ice cream, you name it—we ate it), that we would shudder at the sight of a huge candy bar. Especially since we’d just come from Dylan’s Candy Bar. But, no. We didn’t. Those big plastic containers were stocked FULL of candy: gummy worms, Skittles, M&M’s in all colors of the rainbow, root beer bottles, and so much more. So after dutifully stuffing each of our individual bags with at least 3 of each kind of candy, we all grabbed a few twisty ties and walked around to make sure we didn’t miss anything. Anything edible, that is. Sure, there were huge pillows or cushions (or something) shaped like big ol’ Tootsie Rolls and Sweet Tarts, but what about something that we could eat? Just when Penny, Monica, Jenny and I were about to head off to the cash register, I saw a glimmer out of the corner of my eye. It was orange, it was brown, and it was LARGE. I pivoted and stalked a bit closer. It was simply a pack of peanut butter cups. Except, it wasn’t simple. And it wasn’t just a small, fit-in-your-palm pack. It was a, “Penny, come over here and help me lift this up,” GIGANTOR pack of peanut butter cups. Even hopped up on candy (just prepping for Halloween, don’t mind me), we could barely lift this thing. 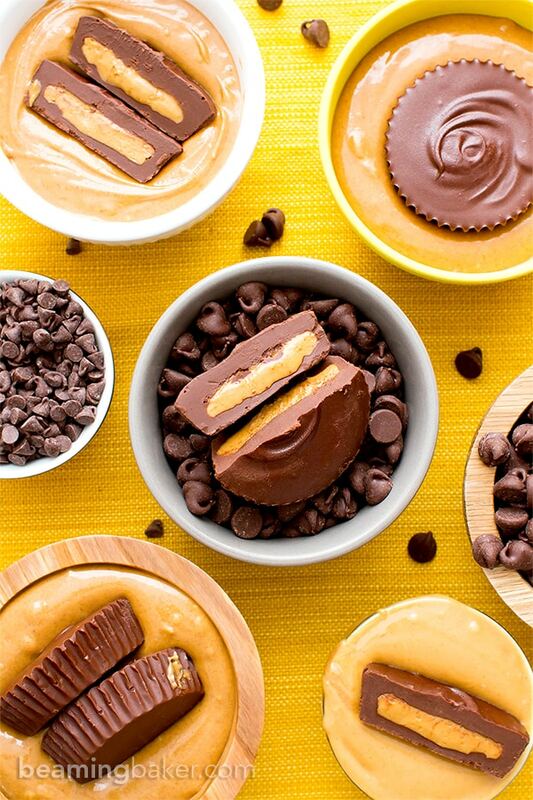 Each PB cup was the size of a dinner plate or a weight-lifting plate… ironically. You should’ve seen Penny’s eyes when she saw those twin peanut butter cups. And you should’ve seen mine. 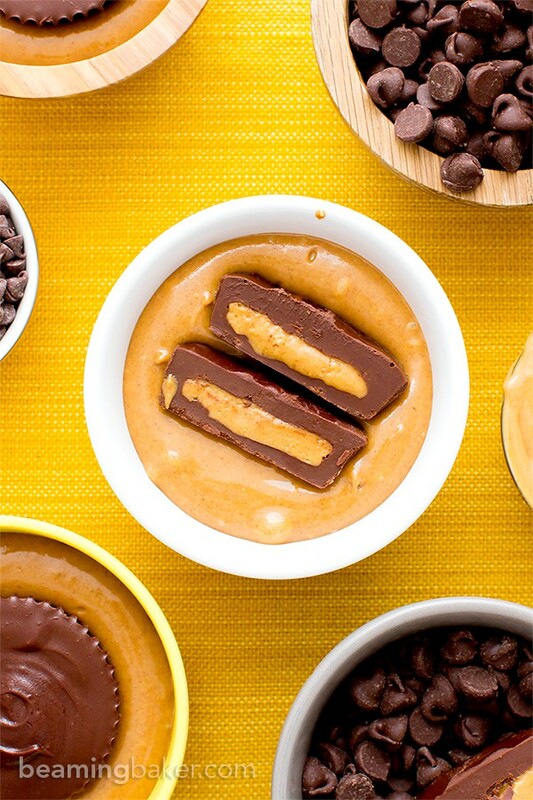 Those ginormous PB cups were the most amazing thing I’d ever seen. So what do you think we did? We had no choice in the matter, really. We bought one, exactly one, large package. We carted that over-the-top-glorious symbol of official Chocolate Peanut Butter Love like it was a badge of honor. Make that two badges. We walked miles and miles with those two peanut butter cups in tow, as if carrying that weight around would somehow make up for eating them later on. But we never ate them. It would’ve been too sad, ya know? They were meant for appreciating and petting, not for eating. Let me tell you, it’s been 15 years since that trip, and not once did we open that package. In fact, none of us even know where it is. However, I do know that we should’ve ripped that plastic open when we had a chance. Or, we should’ve just left that symbol where it belonged, in the store, for others to stare at and appreciate. Or weight-lift. Nowadays, as an older and wiser-ish adult, I know that keeping things just to stare at them probably isn’t the greatest idea. Especially when that thing is edible. So instead of buying oversized novelty candy gifts or statues, we’re gonna make something we can actually eat. 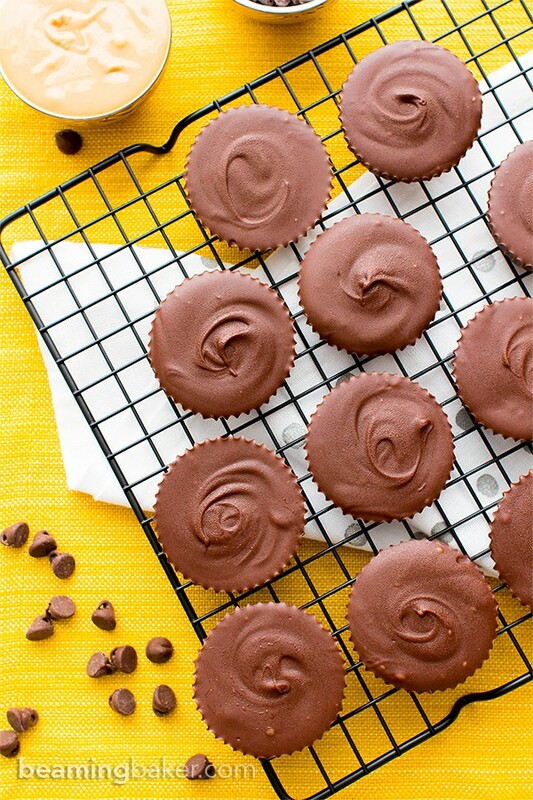 Allow me to present to you my Gluten Free Vegan Peanut Butter Cups. You don’t need to feel guilty, you don’t need to carry these for miles to make up for eating them, and you really don’t need to display these for never-consumption. Just, go ahead and make ‘em. Then, spoiler alert: ENJOY them. Because, life’s too short to keep stuff around to gather dust. 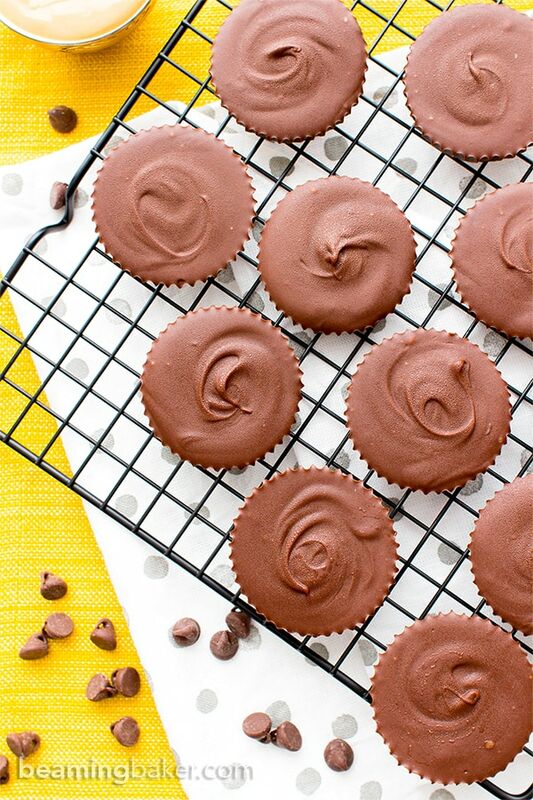 You’ll love these peanut butter cups. You’ll love that you made them, all by yourself. 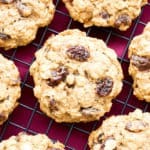 Best of all, you’ll love that you won’t feel the teeniest bit of guilt eating them. Tell me, what’s your favorite candy? Line a standard 12-cup muffin pan with cupcake liners. Set aside. Clear some space in the freezer for the muffin pan. 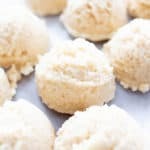 Make the peanut butter filling: In a small bowl, whisk together peanut butter, maple syrup and coconut flour. Whisk until well incorporated. Cover the bowl and place into the freezer for 15-20 minutes—this allows the peanut butter filling to chill and harden for easier molding. Remove bowl from the freezer. 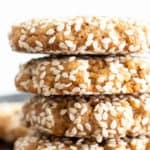 Scoop 2 teaspoons of peanut butter filling into your hands and press into a flat disc. 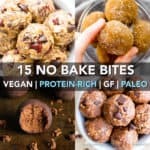 Repeat until you've made 12 peanut butter discs. 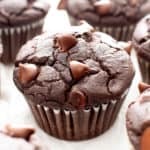 Make the chocolate: Two methods for making the chocolate coating: Use the double boiler method or the microwave method. 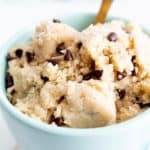 For the microwave method: in a medium, microwave safe bowl, add chocolate chips and coconut oil. Place in the microwave and heat for 30 seconds. Stir. Heat again in 20-30 second increments until the chocolate chips are just softened. Be careful not to overheat. Remove from the microwave and stir until smooth. 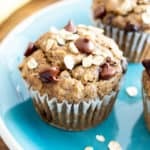 Make the peanut butter cups: Drop 2 teaspoons of melted chocolate into each muffin cup. Lightly tap the pan to smooth chocolate into an even layer, filling the bottom of the cup. Gently lay a peanut butter disc flat on top of the melted chocolate layer. Repeat until each cup has a peanut butter disc. Spoon 1 tablespoon of melted chocolate over the peanut butter disc. Gently spread until you get an even top. Repeat until you have finished making every cup. Place muffin pan into freezer. Freeze for 15-20 minutes. Remove from the freezer. Peel off cupcake liners. Allow to thaw for 10-20 minutes. Enjoy! - *Make sure you use peanut butter that has only one ingredient: peanuts. Your PB should be naturally drippy and liquidy to work in this recipe. - Adapted from my Chocolate Chip Cookie Dough Cups. 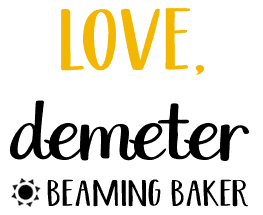 - At room temperature: store in an airtight container for 1-2 weeks. - In the freezer: store in an airtight container for up to 2 months. Be sure to thaw for 10-20 minutes before enjoying. 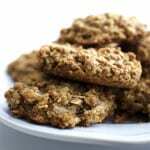 - More Peanut Butter recipes. So you’re telling me you love Peanut Butter. 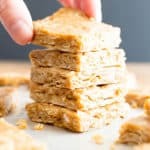 Well, I have something that’s perfect, just for you: No Bake Peanut Butter Coconut Bites (Vegan, Gluten Free, Dairy Free). Portable PB Bliss. 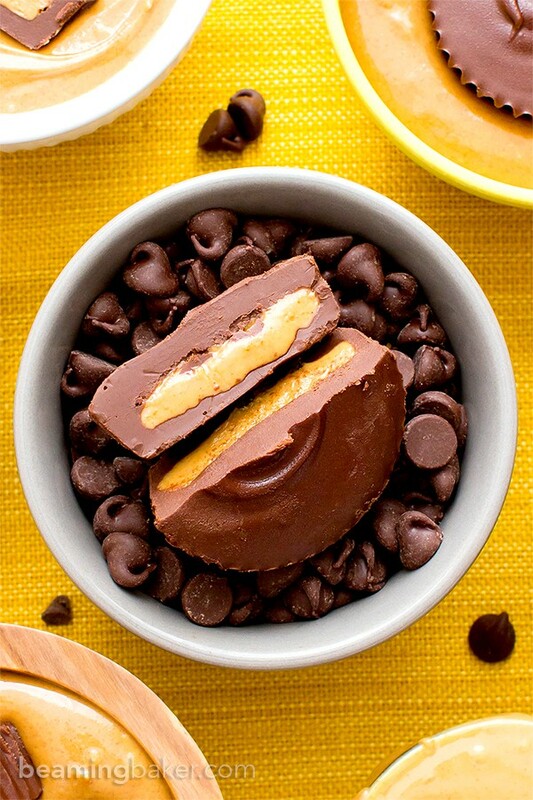 PB Cups, with a COOKIE DOUGH twist. Yep, you heard me right. 😉 Chocolate Chip Cookie Dough Cups (Vegan, Gluten Free, Dairy Free). Oh yes. If you could stuff a chocolate cup with anything, what would it be? 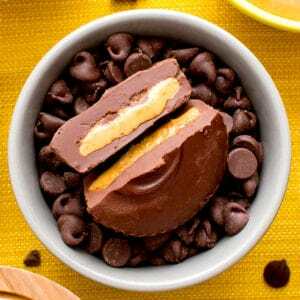 Oh my goodness I am so making these for my Reese’s loving Dad!!!!!! Just a note —- I used regular peanut butter and I skipped the “filling in the freezer to set up” part, because my peanut butter isn’t runny. And it worked perfectly! WOOHOO!!! So happy to hear that you enjoyed them! Thanks for the note–I know others will find that helpful. 🙂 Hugs! ???? 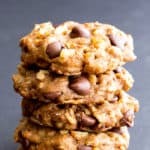 This recipe is like a cleaner far more delicious version of a Reeses peanut butter cup. I loved it! Oh yes! I LOVE your description of these! 🙂 So happy you enjoyed them, Jessica. ??? ?